This week, we celebrate the gift of dads and other significant father figures in our lives. So for anyone that hasn’t picked up the perfect Father’s Day gift yet, we’re here to give you some great ideas from our store, all of which will help ensure your dad uses, serves and drinks the cleanest tasting drinking water possible in his home. Homer Simpson: Is your dad animated and emotional, a man of simple needs, prone to fly off the handle if even the most basic of these needs cannot be met? Intelligence quotient aside, you may have a Homer Simpson-esque father on your hands. 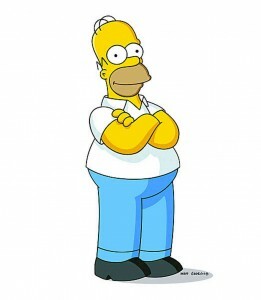 Countless episodes of The Simpsons, including the all-time classic, The Call of The Simpsons, centered around all or part of clan on an outdoors camping or RV adventure. And when camping, there is no more basic need than clean drinking water. 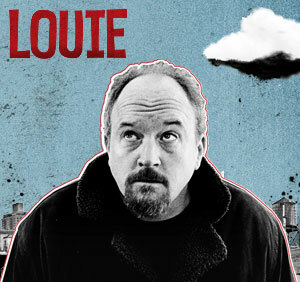 Louis CK: New York-based Louis CK, star of the self-titled Louie on FX, has been called the most important comic working today. Time Magazine also calls him one of The Best TV Dads for the incredible commitment he shows to fatherhood by always putting the needs of his two daughters ahead of everything else in his life. For dads like Louie CK that live in areas where the safety of drinking water seems under constant attack by bacteria and viruses, a ceramic water filtration system or whole house reverse osmosis system would make for an ideal gift. Our line of ceramic filters from Doulton (found here) can install quickly and easily in compact places – including under your sink or on your countertop. A whole house reverse osmosis system, on the other hand, takes a little bit more time to ensure proper set-up. But fortunately, a father-son or father-daughter installation project would put a smile on just about any dad’s face! Check out our selection of reverse osmosis filtration systems here. 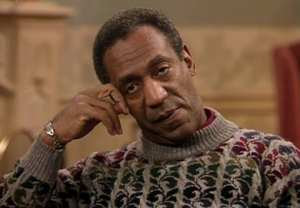 Bill Cosby: We save the best for last as we get to perhaps the most iconic TV dad of all time. As Cliff Huxtable, Cosby provided some of the most classic lines and timeless pieces of fatherhood advice, all of which seems poised to continue to pass the test of time. So what can we get for a father that can only be described as timeless and iconic (minus the tacky sweaters, of course?) A few thoughts spring immediately to mind. Clair: [about gardening] If this is so lovely, how come you’re not down here giving me a hand? Clair: No, to you it’s dirt. To me, it’s life. Cliff: Ha ha. Then why is it that you get upset when the children track life into the house? Another idea would be one of the dozens of filtered water bottles that we offer on our site, here. If your dad is anything like Cliff Huxtable, there’s a chance that a hoagie is either in hand or in belly. And with that much cured meat, he’s going to get thirsty. But one episode of The Cosby Show in particular, The Day the Spores Landed, gives us our biggest clue. In the episode, a giant hoagie induced dream has Cliff imaging that spores have entered our drinking water causing the men to become pregnant. If we equate these imaginary spores with basic sediment particles, virtually all of the water filters or filtration systems we offer will be effective at reduction, meaning just about any product on our site would be perfect for dad. As long as it comes from you. After all these years, it turns out Bill Cosby is still continuing to teach us about the true meaning of fatherhood. I invite you to subscribe to this blog or our YouTube channel, like us on Facebook or follow us on Twitter, or +1 us on Google+ to be the first to learn about exclusive deals and new products.